Agreements for issues including alimony, child support, and child custody may only be reached when a divorce is finalized, but individuals going through a divorce are able to come to temporary agreements for these topics as soon as either party files for divorce. After all, time does not stand still during divorce proceedings which may last months or even years. It is common for co-parents to come to a temporary child custody agreement to determine custody and parenting time in the interim. 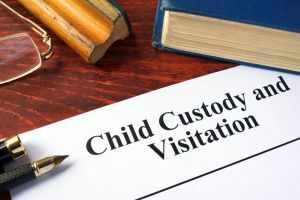 The temporary child custody legal team of The Bronzino Law Firm takes pride in assisting parents with temporary child custody agreements in Ocean County towns including Brick, Spring Lake, Toms River, Wall, Sea Girt, Asbury Park, and across Eastern New Jersey. We believe in getting to know our clients personally so that we can provide legal solutions which address their individual needs and concerns. Our experienced attorney approaches each child custody dispute as an opportunity to come to an amicable agreement, but will not hesitate to aggressively defend your legal rights as a parent. Call our office today for a free and confidential consultation with a member of our experienced and qualified legal team regarding temporary child custody or any other divorce or family law matter. There are two primary methods by which our Ocean County temporary child custody agreement lawyer can help you reach an agreement: outside of court or through a pendente lite court order. New Jersey Family Courts allow and in fact encourage co-parents to draft their own temporary child custody agreements. With the help of an experienced attorney, it is more than possible to come to a legal and mutually beneficial agreement with no litigation. It is also possible to request a temporary child custody hearing. Either co-parent or a judge can request such a hearing, which will be used to come to a legally binding agreement. Such agreements are considered “pendente lite”, meaning “pending litigation”. Your temporary child custody agreement may take effect as soon as either party files for divorce and will conclude once your divorce settlement is finalized. Legal custody entitles parents to make major decisions in a child’s life including medical decisions, religious decisions, schooling, and more. The vast majority of co-parents choose to retain their rights to legal custody through a joint legal custody arrangement. It is important to understand that temporary child custody agreements have no impact on your eventual “final” child custody agreement. However, they are based on many of the same factors and are a good way to set reasonable expectations. Temporary child custody agreement attorney Peter J. Bronzino, Esq. has extensive experience helping parents find tenable temporary child custody agreements in local Ocean County communities such as Brick, Toms River, Neptune, Manasquan, Wall, Point Pleasant, and across Eastern New Jersey. Our smaller firm size allows us to give each client the individual attention and time they need and deserve when going through such serious legal matters. We do not offer cookie-cutter legal services like the larger firms, and take pride in addressing the unique needs and concerns of the families we serve. If you have questions regarding a temporary child custody agreement or other temporary agreement during divorce, please contact us online or call our Brick, NJ office by dialing (732) 812-3102 today for a free and confidential consultation.